Sometimes, making movies can be… well, kinda boring. There’s a whole lot of sitting around and waiting while shots are set up, lighting is adjusted, other actors are filming their lines. This leaves a lot of actors with time on their hands and, being the creative folks they are, good times often ensue. 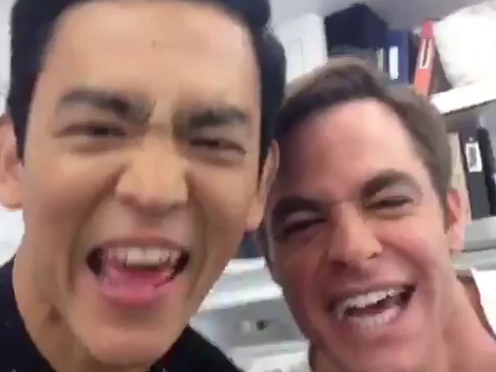 For the cast of the big-screen Star Trek movies, that often involved making Dubsmash videos. If you want to see the original videos as posted by the actors, the YouTube video above has all of the links in the “show more” section. Meanwhile, if you want to entertain us — and we would greatly appreciate it — make a Dubsmash video of your own and post it in the comments!